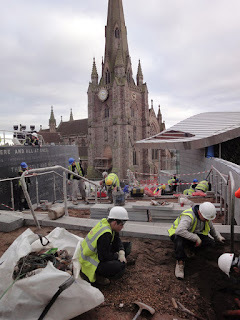 With just under one day to go before Spiceal Street launches work is taking place at a frenetic pace to complete the development before the launch on Thursday 24th November. 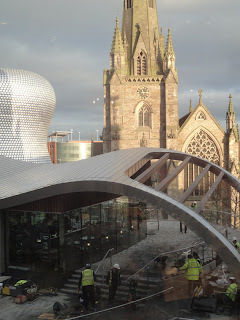 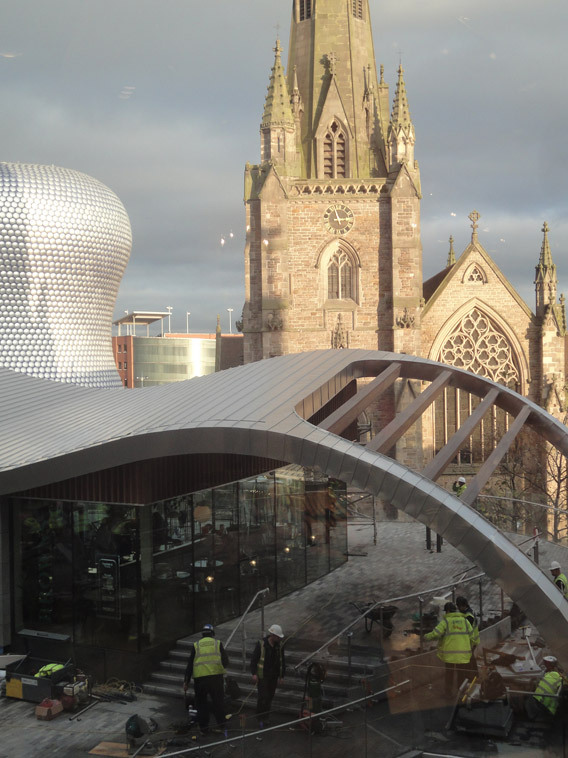 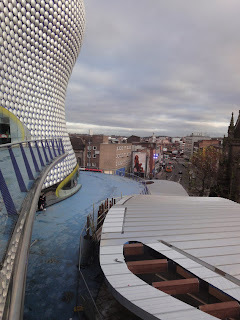 Shoppers walking past the new Browns restaurant can see those lucky enough to test the restaurant's food and service being treated to a complimentary meal; I myself will have the privelege this evening and look forward to tasting Browns' excellent menu in Birmingham. 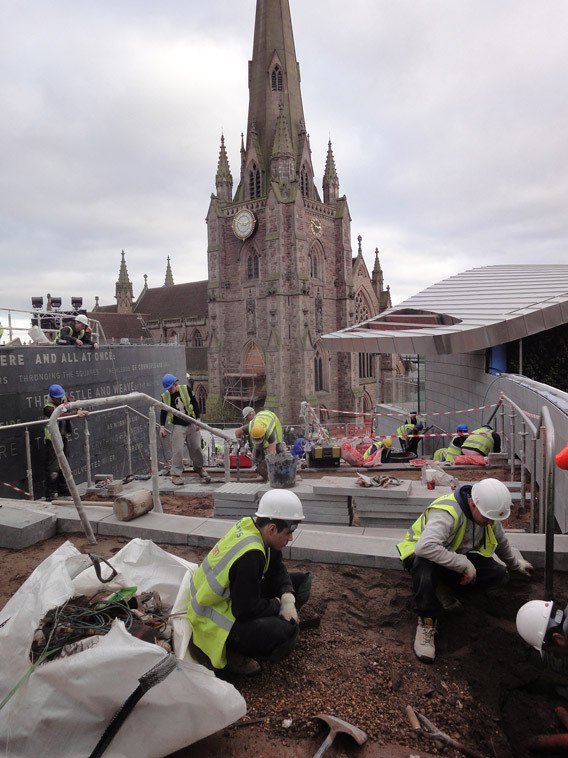 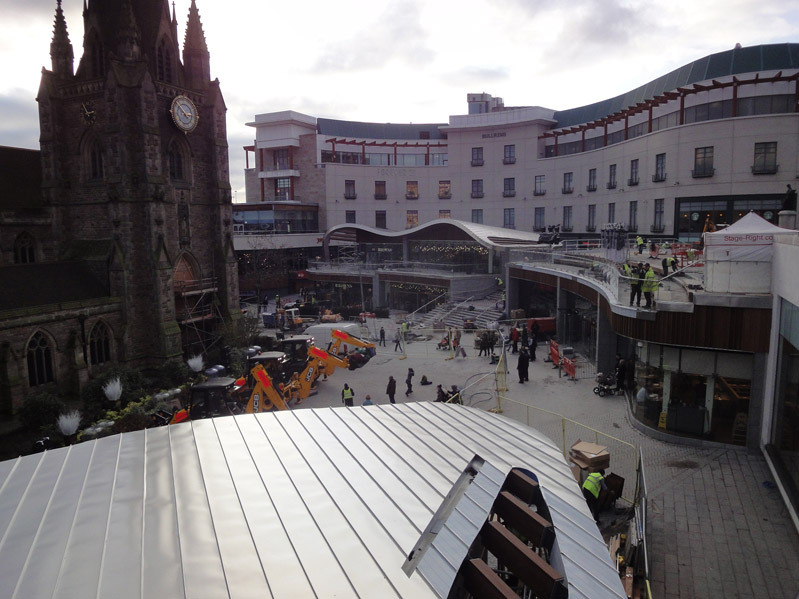 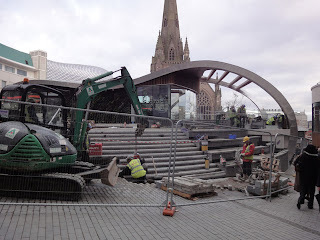 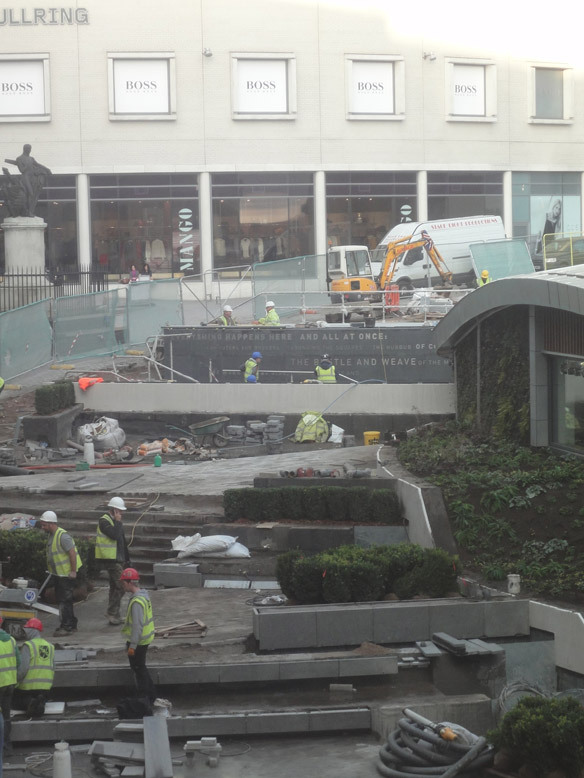 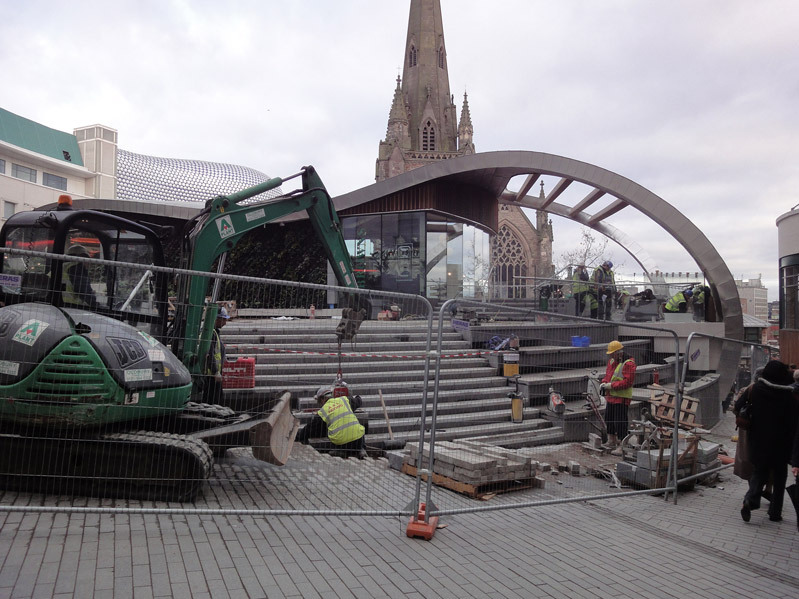 The specially commissoned poem artwork is being installed next to the steps leading down to St Martins in the Bull Ring. 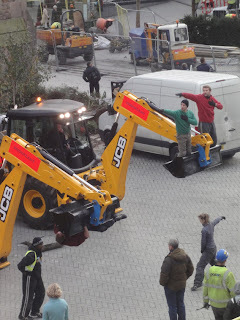 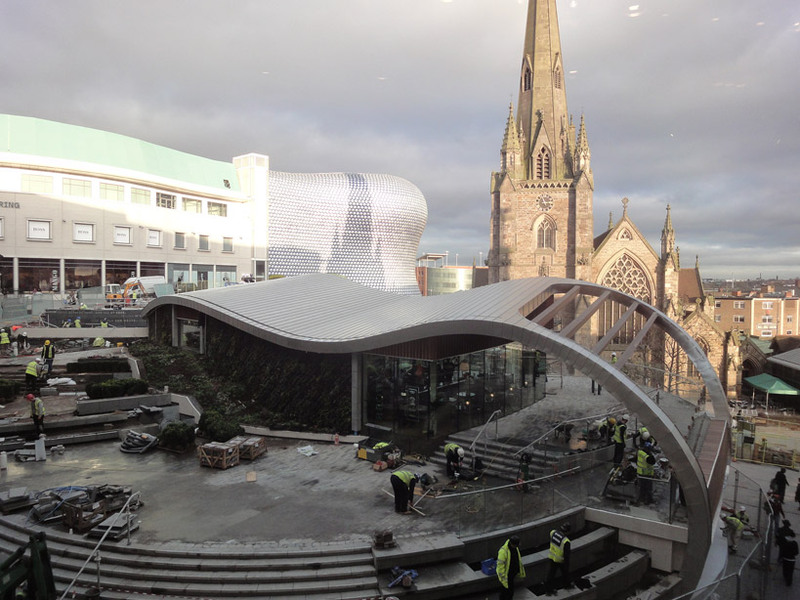 A few photos showing the finishing touches being completed from Tuesday 22nd November are shown below together with a few pictures of the dancers and JCB diggers preparing for the specially commissioned dance piece to launch the development.